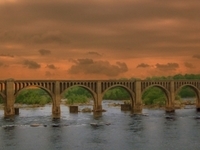 Travelers are voting James River Bridge, CSX A-Line Bridge and Huguenot Memorial Bridge as the best of 12 bridges in Virginia. 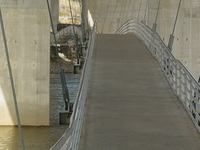 Also popular are Judith Stewart Dresser Bridge in Williamsburg and Manchester Bridge and Mayo Bridge in Richmond. Want more? 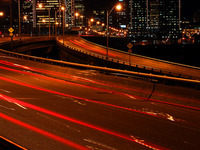 Check out our map of bridges in Virginia or these 2 bridges in Virginia Beach. 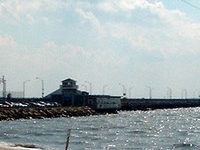 The Berkley Bridge is a double-leaf bascule bridge across the Eastern Branch of the Elizabeth River in Norfolk, Virginia, United States. 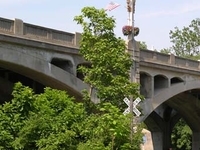 The Memorial Bridge is a two-lane, 785 feet (239 m) long bridge spanning the Roanoke River along Memorial Avenue (U.S. 11) in Roanoke, Virginia. 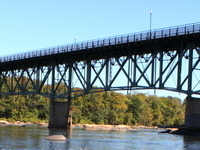 Boulevard Bridge in the independent city of Richmond, Virginia is a toll bridge which carries State Route 161 across the James River.